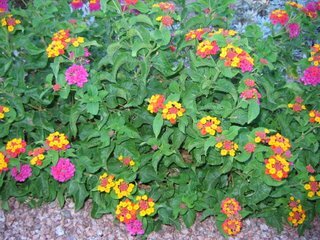 This photo of desert flowers was taken just outside of my mom and dad's home in Scottsdale. P.S. I made some setting changes so that maybe will be easier to "comment" if you so choose! Thanks to my friends who pointed out their challenges commenting, apparently we have missed some brilliant replies! Your blog is wonderful. Keep up that busy life and positive attitude! Enjoy the graduations, and we'll be thinking of you this weekend in Regina. Your sayings are great. Here's an Irish one for you: "May your troubles be less, And your blessings be more, And nothing but happiness, Come through your door" - You deserve it! Hi Joanne, What beautiful flowers!!! I am so glad to hear that you are doing well and have the energy to enjoy all of the grads. Hayley would like to send you the following saying " Love like you have never been hurt, dance like no one is watching, sing like no one is listening and live life to the fullest"
I hope you are feeling ok. I can't wate to see you next week! It will be so much fun. Thanks for the update. We are looking forward to seeing you and the family next weekend.